Join us in celebrating what would have been Madiba’s 100th birthday by participating in our Mandela Day – it aims to be the biggest giving day in Africa! Spend your 67 minutes changing the trajectory of our children’s lives and South Africa through our combined efforts to deliver quality Early Childhood Development. 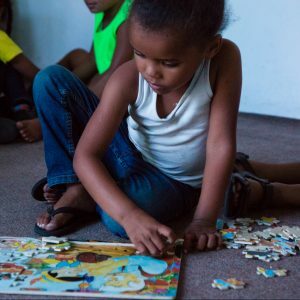 Learning in Reach are currently working with 30 Early Childhood Development centres in Lavender Hill to reach minimum standards of health and safety, and teacher training requirements. Our goal is to have all 30 centres compliant by 2020 so that we can focus on delivering quality education to children aged 3 to 6 years old. Less than half of children aged 3-6 years have access to a preschool in South Africa. Only 6 out of 30 Early Childhood Development centres in Lavender Hill are registered, meeting the minimum standard of childcare required by authorities. 8 out of 10 children can’t read for meaning by the time they reach Grade 4. 82% of people in Lavender Hill over 20 years old never completed Matric, making it almost impossible for them to further their education or find employment. Harness the collective power of your networks and crowdfund for Learning in Reach. Access our toolkit here, with all you need to sign up here as a Champion. It’s super easy for you to fundraise for us from anywhere: your desk, a coffee shop or your home. All you’ll need is an internet connection. If you are part of a corporate, we will set up a group campaign for all your employees to work towards your target. Please confirm which timeslot you would like to attend. We ask that you arrive 10 min before your scheduled time to ensure you manage to find parking and the venue timeously. We have a jam packed day and would hate to keep anyone waiting. We will have a showcase of the 30 ECD centres in Lavender Hill. Principals and teachers will also be attending the maker space, so you can engage and learn more about the challenges that they face delivering quality early childhood development to our children, and the impact this has on South Africans, socially and economically. Browse the showcase as you arrive and pop back at any time during your 67 minutes. Pick a station and get busy making literacy and maths resources for theclassroom. There will be a sample and a volunteer on hand to guide you step by step, but they’re easy peasy to make, so no sweat required. 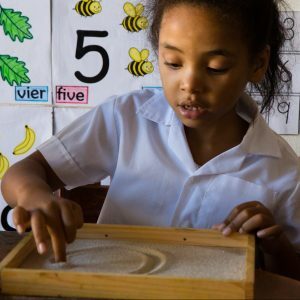 We do ask that each participant assist us by crowdfunding a minimum R670 to help us deliver 3 bookshelves filled with literacy, numeracy and every day living activities to each preschool in Lavender Hill. Click here to sign up as a Champion. Access our toolkit here. Please follow us on social media and share, share, share our posts.